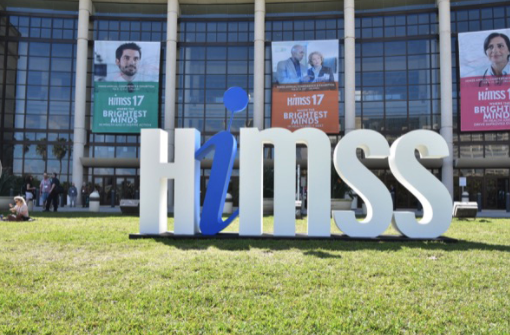 The HiMSS annual conference and exhibition brings together more than 40,000 health IT professionals, clinicians, executives and vendors from around the world. Exceptional education, world class speakers, cutting edge health IT products and powerful networking are hallmarks of this industry leading conference. During this conference, attendees will have the opportunity to explore the continued learning sessions, and potential partnerships with more than 1,300 exhibitors. 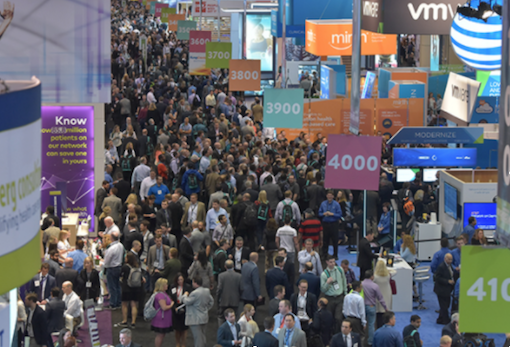 HiMSS is the premier show in the Health IT industry, and all the big players show up. With these large corporations spending a significant amount of money on their trade show booth, it requires us to be strategic in our approach to standing out on the show floor. Not all exhibitors are given half a million dollars to engage attendees at HiMSS, so what are some other ways to drive traffic to your space and increase leads? This is a question we addressed when working with almost half a dozen companies exhibiting at HiMSS in past years. For one of our clients at another show, we utilized a “Change the Mindset” campaign. The booth featured a left brain/right brain test that provided tailored results based on the answers provided. The results lead visitors to various kiosks which provided services to fit their needs based on the score. This was a highly interactive activity for our client to engage with visitors, and not spend an excessive amount on their booth structure or space. Post show, our client was able to review the leads from the test activity and share with the appropriate sales members for follow up. With more than 40,000 attendees at this show, of which 71% have decision making or decision influencing power, it is critical to engage with these individuals, and it is not always financially possible to do that by having the largest and most impressive booth at the conference. It requires thoughtful planning on what will engage attendees with your brand and products/services in a memorable way. HiMSS 2018 is just around the corner in Las Vegas from March 5-9, 2018. You can register at http://www.himssconference.org/ . If you are interested in partnering with Exhibitpro for a successful engagement at HiMMS, feel free to reach out to Blake Miller at bmiller@exhibitpro.net.